I am loving the December Stamp of the Month! I have had this stamp set tucked away for the past few months (a perk of being a CTMH consultant! ), just waiting until December when I could showcase just how cute it is! The cupcakes are just adorable, and they all have a lot of white space, so that you can color and customize them however you want. 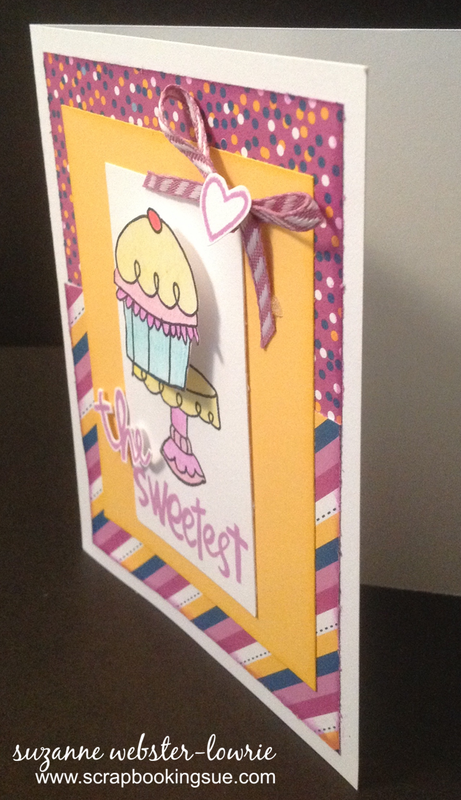 To make “The Sweetest” card, I started with 5.5″ x 4.25″ White Daisy card base, and layered with Confetti Wishes patterned paper and Canary cardstock. 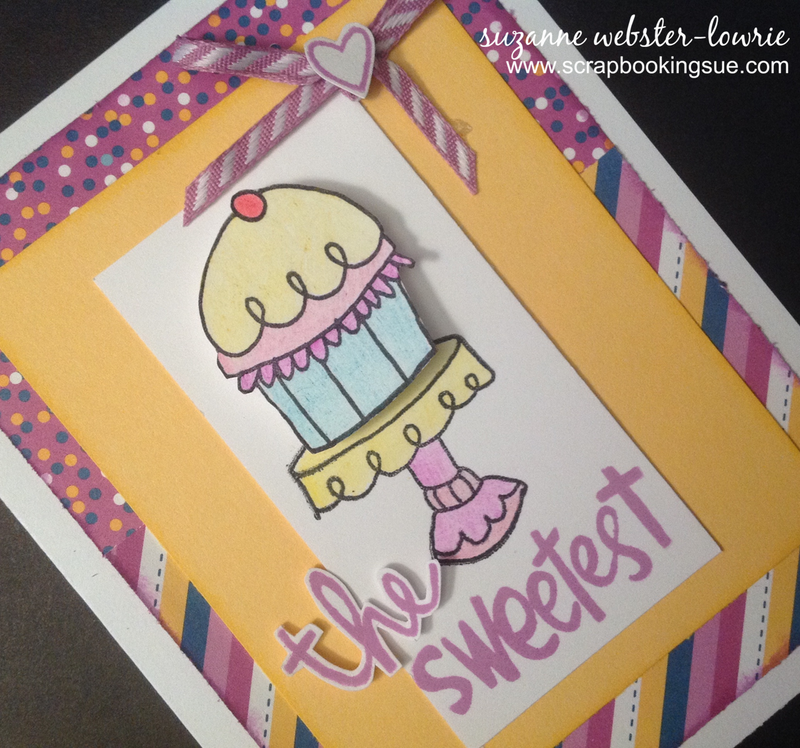 The cupcake plate was stamped on white cardstock in black ink and the sentiment “Sweetest” was stamped just below it in Thistle ink. On a scrap piece of white cardstock, I stamped the cupcake in black and the word “The” in Thistle ink. I fussy cut them both out, colored them in with colored pencils, and attached them with foam tape to pop off the page. I used Thistle Diagonal Striped Ribbon to make a bow, and stamped a small heart from the stamp set to sit in the middle. 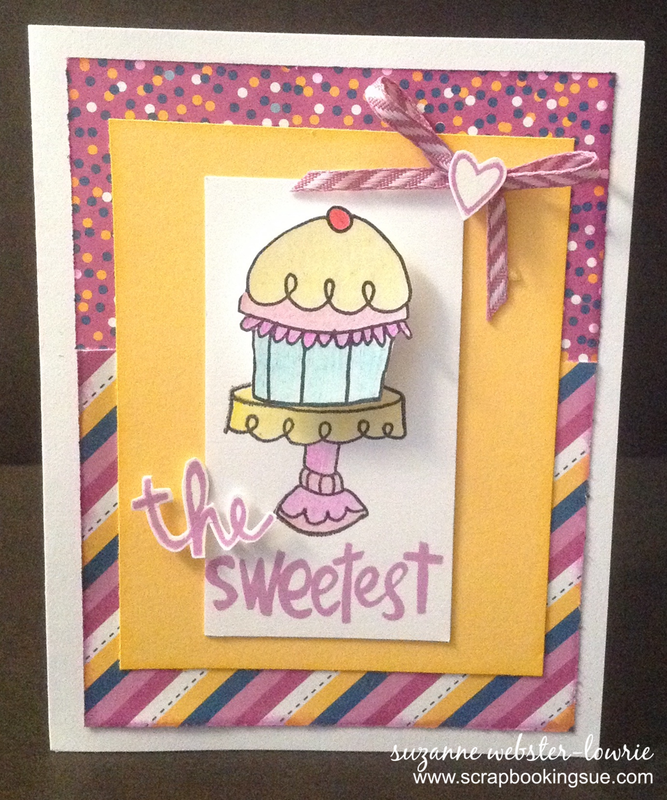 Get the “Cutie Pie” 11-stamp set for only $5 with your qualifying $50 order! This is just darling! Thanks for playing along with Mojo Monday!